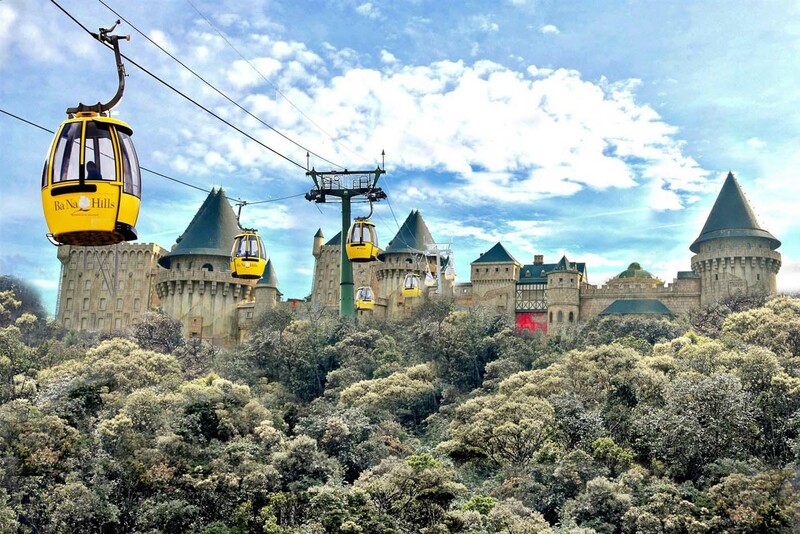 We will pick you up at the rendezvous from 7.45 to 8.00 PM, and then we go to Ba Na Hills – “Sa Pa of the Central”, at an altitude of 1,487 m above the sea level. You will be carried to the peak by the cable car system that won 4 World’s Records (longest one-wire sling; the longest distance between each station; the longest unpatched wire; and finally the heaviest cable roll), admire the epic view and enjoy the fresh air here. Walking around or taking the funicular train to Linh Ung Pagoda, Debay wine cellar, Le Jardin D’Amour (the Flower Garden of Love), Golden Bridge are also the good options for you after arriving Ba Na. 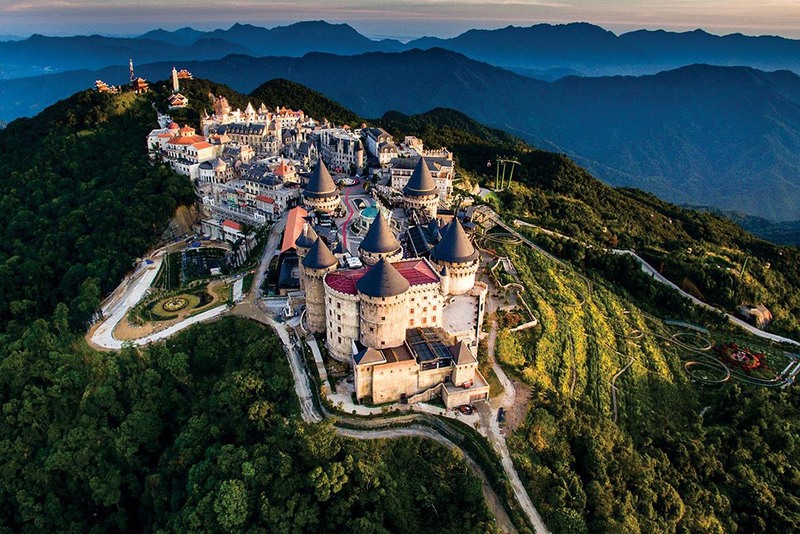 The next destination of your trip in Ba Na is The Fantasy Park – the world-class indoor amusement park. You can experience many thrilling rides and games such as water slide-way, love wheel, fire race and ghosts’ house. You can also buy the entrance ticket to visit the unique Wax Museum in Vietnam. Lunch time. You will take a rest and have buffet as lunch in Hoa Lan Restaurant – Hoa Sen Club, with more than 100 Asian and European delicious dishes. 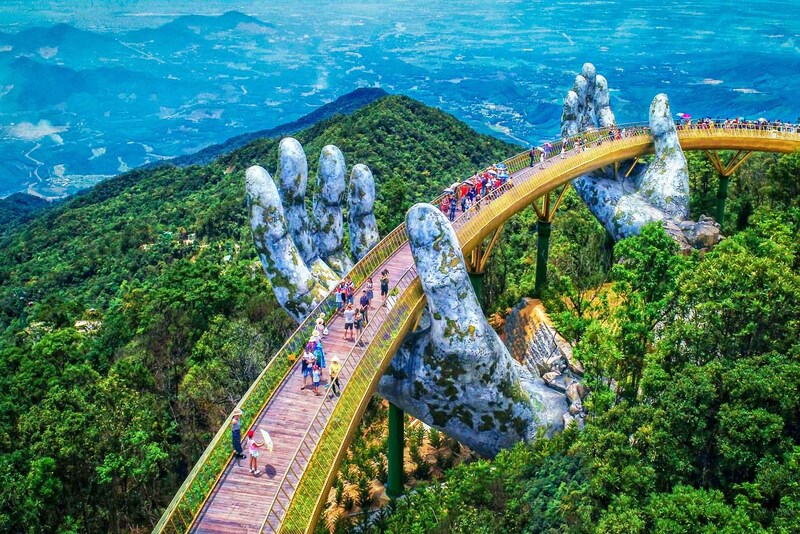 Besides, feel free to visit the holy places in Ba Na: the Linh Tu Temple, the Temple of Mother Nature, the Belfry, the Phong Tu Tower, or the French village. From this area, all the scenery of Ba Na – Quang Nam’s nature is below your feet. We say good bye to Ba Na and get back to the cable car station and return to Danang. We will go back to your places in Danang. We hope this tour will bring you many unforgettable memories and joyful moments. See you again in other tours of Dacotours! Please provide the personal information and contacts of your group while booking tours. The tour program can be adjusted or changed due to your requirements or the actual conditions during the tour to ensure that the tour keep on its itinerary.